Cahokia — Sub-Par Maya Ball Game Team? Annalee Newitz has an interesting article on the ancient city of Cahokia in modern day St. Louis-ish that’s worth a read. Of course, this whole city was predicted (years after it was found) by the fascinating and edifying History of the Mayan Ball League. As a major stop on the Mayan Ball League All Stars tour, the Cahokians had to adapt their game of Chunkey to the more physical ball game. So this young man in Quebec has discovered, without leaving his home, mind, a new Mayan city. He did it using the Mayan constellations, laying them down on the map and figuring out that there seemed to be one corresponding city missing. The short book mentions many other expansion cities for the Mayan Ball League, and while this teenager’s approach of using the stars and science to discover hitherto unknown Mayan sites, I do hope that the scientific and archaeological community will spend a bit more time reading up on their fake histories and investigate. Excerpt From: Matthew Hanlon. 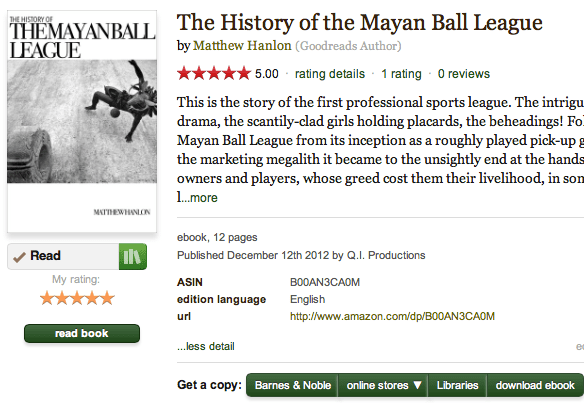 “The History of the Mayan Ball League.” iBooks. Who knows what other ballparks are out there to be discovered? The book is free from the iBookstore and $0.99 from Amazon and Barnes & Noble. So start your research today, and you may just catch up to a fifteen year old from Quebec, in terms of Mayan archaeology. The History of the Mayan Ball League Returns? 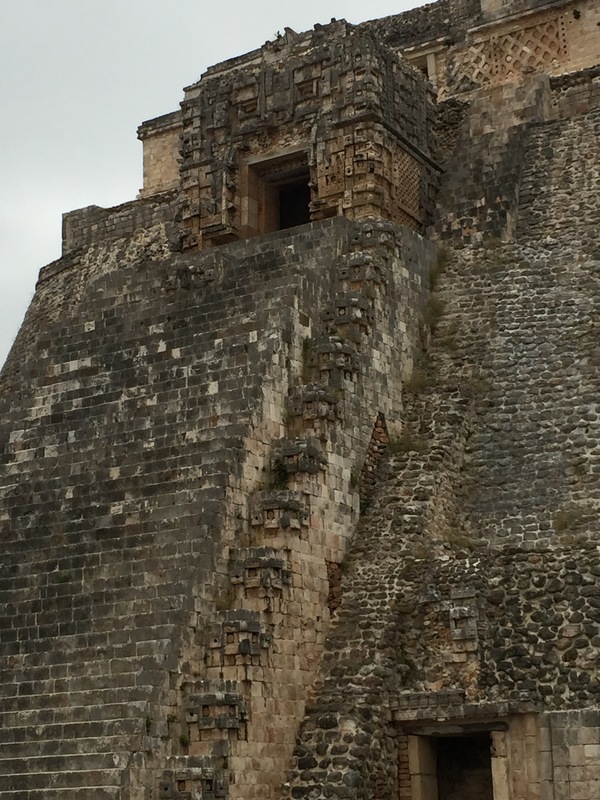 Submitted as evidence, that the author of The History of the Mayan Ball League (available at fine bookstores in your phone) actually visited the ball court at Chichén Itzá, so heaven help you all that there might be a sequel to that thrilling story of sport, rampant salaries, lockouts, and other labor negotiations! Or maybe just a new version of the same old story with pictures. Who knows? So if you haven’t read the original, maybe now is the time to go download it (it’s free on Apple’s iBook Store and $0.99 on the others). There are a surprising number of facts in the story that hew incredibly close to the truth, which is something you don’t often get from me. Go, read, enjoy. 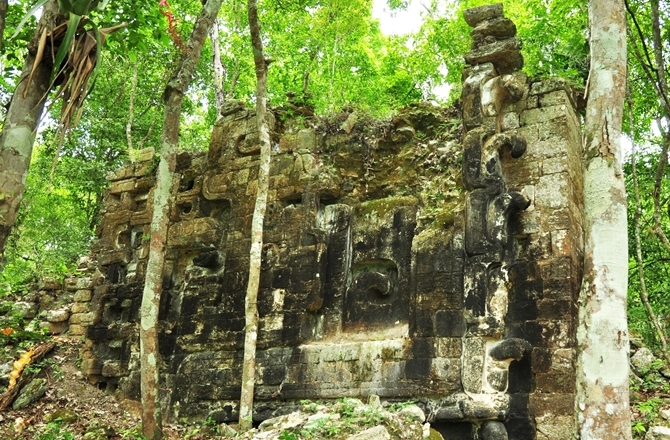 So they discovered yet more ancient Maya cities. Were these more players in the Great Mayan Ball League? Read the official history* and find out! The doorway to a Maya Ball League Powerhouse? * Warning: May not actually be official. How’re we all faring? Everybody okay, I trust? You know what time of year it is, right? That’s right, it’s the anniversary of when time ran out on the Mayans! 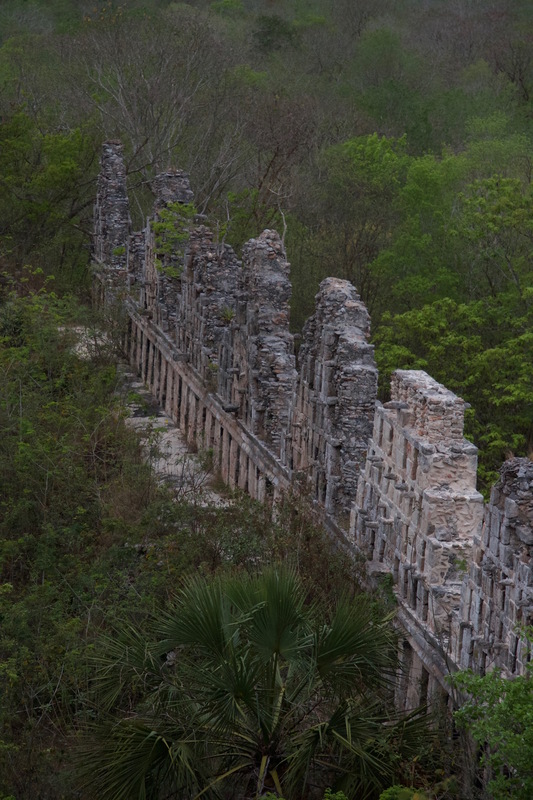 So in honor of this special time of year, “The History of the Mayan Ball League” is now FREE*! It’s also now super-short, just like it was before! You’ve heard of novels, right? Well, this is like a really short novel you could read in a sitting. So rush right on out, because there is an excellent chance that the Mayan Calendar simply had daylight savings year built into it and this is the year the whole shebang is going to end and I would feel really bad if you hadn’t read “The History of the Mayan Ball League” before the world ended. You can even gift the booklet (let’s call it a baby novel) to your friends, family, and acquaintances, since it also happens to be the season of giving. And and AND if you give someone something they may feel they owe you something in return when the world is actually ending. * Void on Amazon, where I can’t make it free or can’t figure out how to make it free without making it an Amazon exclusive, which is probably all my fault, and I feel a deep and abiding shame for this. 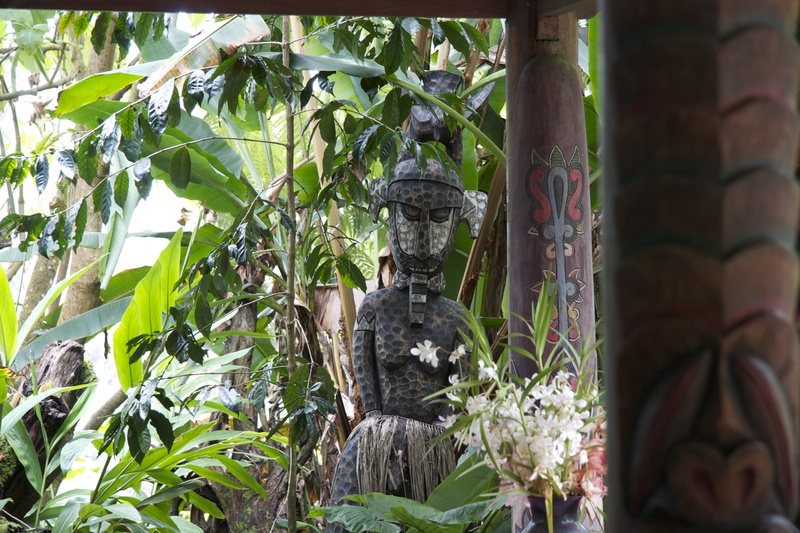 Celebrate Cyber Monday with Mayans or Fish! It has come to my attention that today is a day for giving 30% off nearly everything, so I decided to jump into the fray and offer 30% off both “The History of the Mayan Ball League” and Verano the Fish*! Since both are free** your discount works out to about $0.00 (or, checking xe.com, £0.00 — I couldn’t even begin to tell you the savings in Euro). So that’s not brilliant, but isn’t no price at all worth it if you get the thrilling story of a bunch of Mayan professional athletes and their league’s story? Or for the story about a plucky young fish who makes some interesting life choices? So for this limited time only you can get both stories for UP TO 30% OFF! Buy it now, quick! Oh, and, by the way, these stories, as well as the Fenway Fiction series, make excellent gifts for the holidays. Just sayin’. * Except where we have to charge $0.99 or thereabouts because we have no option to give away our content. ** Again, on most platforms. Vote for Verano the Fish! He’ll Feed Your Family for a Day! It’s that wonderful time of year again, the Goodreads Choice Awards season! The History of the Mayan Ball League was the first, coming shortly before the Mayan Apocalypse, which happened and did a real number on book sales, as everyone on the planet perished. Verano the Fish came out in May, 2013 and is the lovely story of a little fish, his family, and a hapless fisherman. It’s written by me and illustrated by my family, which is good, because I couldn’t illustrate my way out of a paper bag. Both books are a nice short length and, even better, both are *FREE*! Or at least they are on the platforms on which that sort of thing is allowed. Where I couldn’t make them free I made them as cheap as possible. I really, really wanted to make them more expensive in Belgium, because, well, they know what they did. But I didn’t. So why am I writing you today, you ask? So I would like to humbly beg that, if you enjoyed either of those books, you would vote for them in the Goodreads Choice Awards 2013. If you haven’t read them yet, I would humbly beg that you go read the books on your iPad or Kindle or nook or whathaveyou. Read them in your browser, as you can download them both, for free, from Goodreads.com and then, if you like them, go vote for them. You can vote for Verano the Fish in the Best Picture Book category. 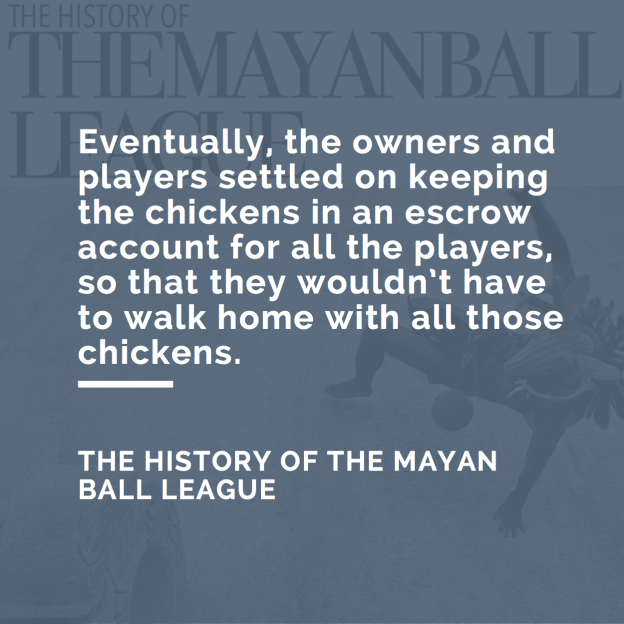 The History of the Mayan Ball League is more of a Best Humor sort of book. Same goes for The History of the Mayan Ball League. 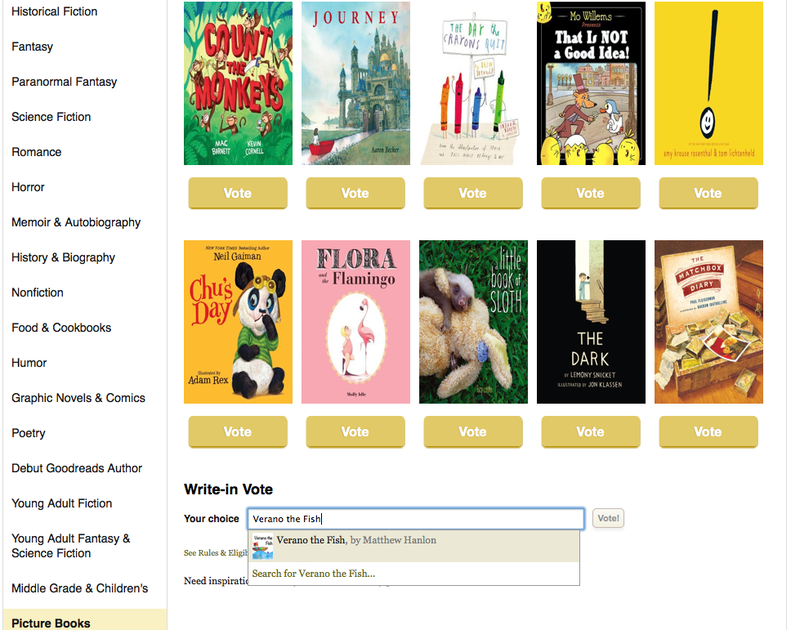 So please, go vote for Verano the Fish and The History of the Mayan Ball League at the Goodreads Choice Awards 2013. I have just the thing to wear on the red carpet, and some sparkling acceptance speeches to give. With all the kerfuffle about Goodreads being bought by Amazon, I’m a little hesitant to post this, but I’ve made “The History of the Mayan Ball League” available for download on Goodreads.com. There’s also a little thing to click on to read the book right then and there in your browser. So go to Goodreads. I’ve made the whole book available, so there’s no need to pay actual money for it. Sure, sure, my family will probably starve and die horrible deaths because you’re not giving me $0.99 for the book. But at the very least we’ll die happy, knowing that you’re now a little bit more educated about the Mayan Ball League. For your information, the book is also free on the iBookstore and the Kobo Bookstore. It’s only Barnes & Noble and Amazon where I can’t lower the price to free. So if you really like me and would like me to survive another cold, harsh winter (we live in San Jose, CA, right now, where the winters are bitter cold), you would be smart to buy at least a dozen copies of the story on Barnes & Noble and Amazon. But if you have a vendetta against me or would just like to see me really, really suffer, well, you can now get the book for free or just read it online at Goodreads.com for free. So the NHL and NHLPA finally came to their collective sense (have they any?) and ended their prolonged lockout. “NHL lockout over as owners, players reach agreement” from the Boston Globe. Which means that the legendary lockout of the Mayan Ball League (the story of which I’ve been shilling here and other places) still holds the record as longest labor dispute in the history of professional sports. Hockey is one of my personal favorite sports, both to play and to watch, at any level, nearly. I love watching a good Hockey East tilt, a Worcester Sharks (nee Ice Cats) game, a Super 8 series, and I especially love watching the Boston Bruins. Love, with a bitter taste in my mouth after the lockout, perhaps. Last year saw an alarming number of players coming down with concussions (the way you’d come down with a cold if colds were administered by a 200+ lb. person ramming their shoulder into your head). After one particularly bad week for the players, I began to think that the last rash of head injuries on a similar scale must have been back when the Mayans were playing their ball game with the hoops, the one at the end of which the loser would occasionally be beheaded. So I started on a brief sketch of a history of that league, which had startling parallels to my beloved (formerly?) National Hockey League. The NHL really is the red-headed step child of professional sports. I’ve never seen a league do more to shoot itself in the foot than it. While Major League Baseball emerges from the Steroid Era and its own labor strife of the 90s, the NFL enjoys the very peak of its popularity, and even the NBA, for crying out loud, managed to avoid a stoppage in play, the NHL goes from a force gaining fans left and right to a full stop in operations, effectively killing its momentum in the sporting population’s eye and heart. It has expanded ambitiously to curious destinations for a sport played primarily in the cold, by kids outdoors on a local pond. It has had numerous of its stars (Bobby Orr, Cam Neely, and probably other players from other teams) cut down in their prime due to the brutal nature of a sport in which large men on blades and in heavy pads thunder around an enclosed space with sticks and a hard piece of rubber. And I put it to rest. When the labor dispute began again I was so… irate? Disappointed? At loose ends? I had no hockey to watch out here in the western backwaters of the country, after all, while Boston College and Boston University and Maine and all the rest appeared on Friday nights on NESN. Whatever it was, I picked up the story again, finished it off, ending the Mayan Ball League with a whimper, rather than a bang, as my shadow of the NHL tore itself apart, slowly. The fact that the Mayan calendar was ending also seemed like a handy time for this story to come to light. And so that’s how that all happened.